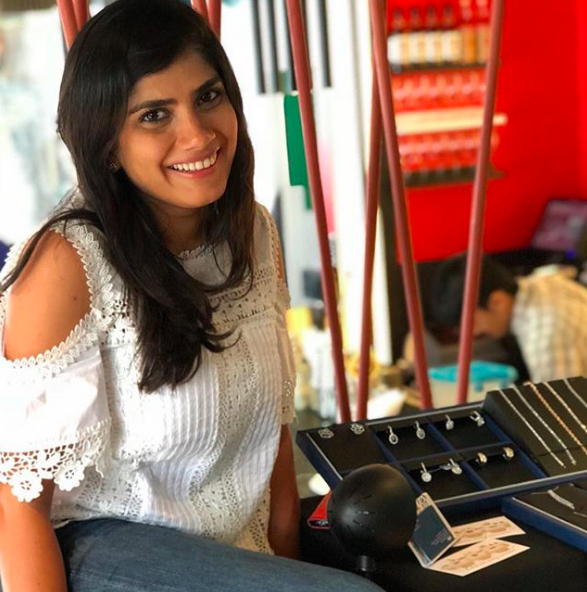 We would like to introduce you to the talented entrepreneur, Niyati Kapadia, founder of Niya K, a bespoke diamond jewellery brand. Hello Niyati, the diamond pieces of Niya K are stunning! Thanks! Let me introduce a little bit more about myself. I am a fashion graduate from Parsons University, with a strong family background in the diamond industry. I love to share with my customers and gives them them access to both my network within the industry and insights I’ve gained into the variety of diamond jewellery available. We at Niya K, know that there is nothing better than something that is created especially for you and exactly suits your preferences. Our personalized service ensures that you understand the choices available and are involved in the process, ensuring you receive a piece you absolutely love! What is the most important lesson you’ve learned about running a business? The little things matter, going that extra length for a customer always brings benefits. Our process is tailored so clients get exactly what they want from the moment they decide to buy a piece of jewellery, to the moment they finally get to enjoy it. I believe in building lasting relationships with my customers and am available to help with any service you need after your purchase. I would say I am passionate, sociable, and creative. With a strong family background in the diamond industry, I aim to deliver a bespoke and personalized service to my clients and help them understand their options to get a truly beautiful piece of jewellery – at the right price!